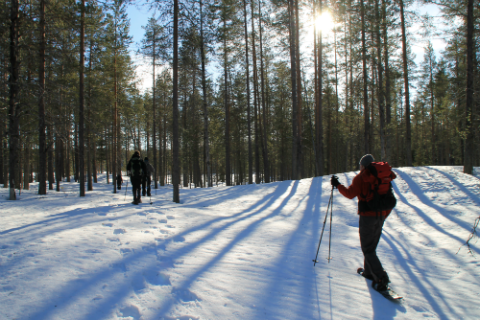 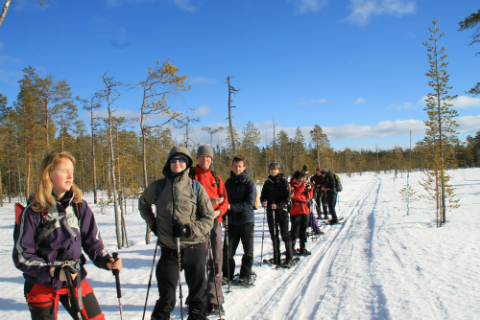 Last snowshoeing week for this winter took place two weeks back. 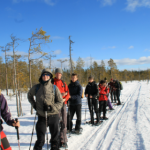 Four nationalities were represented as we made our way through the shades of blue and faced the late winter conditions of Hossa. 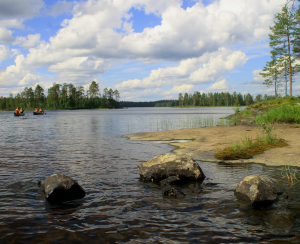 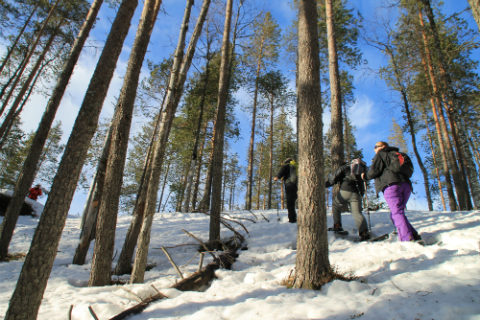 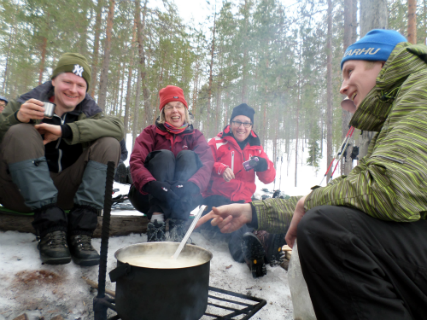 The main focus of the week was being active in nature but we also had time to spend in cozy cabins, enjoy the sauna, eat well and connect with the locals. 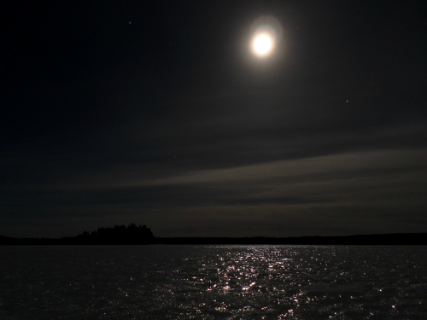 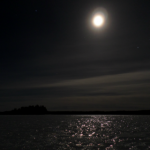 Nightly walk on a frozen lake, under the starry sky and taking a dip in the frozen lake were unique and intense experiences for many. 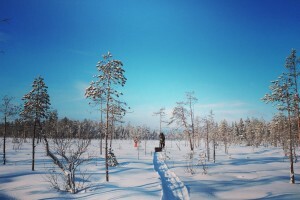 This winter the weather has varied from extreme to the other and the temperatures in whole Finland have been above average. 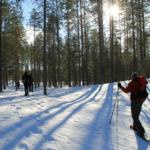 Fortunately Hossa is one the coldest and snow-surest areas so different winter sports and activities can mostly be carried out normally. 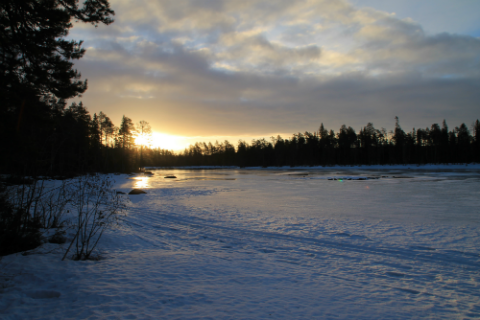 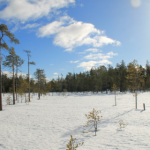 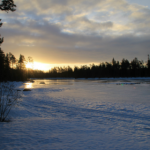 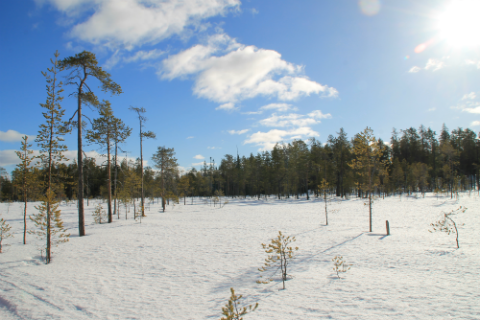 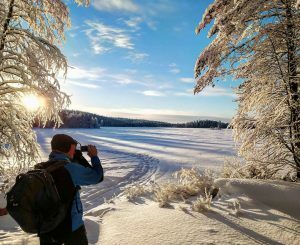 Polar nights have given way to beautiful sunny days varying with frosty nights and the surroundings change significantly because of this, here´s some pictures taken during the days! 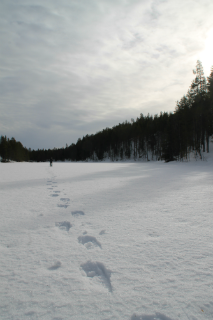 Before noon the covers of snow carried your weight quite well and the walking was quite easy but as the temperature rose one easily sank into the deep snow and this provided some additional challenge. 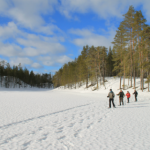 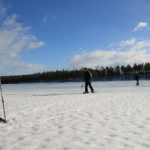 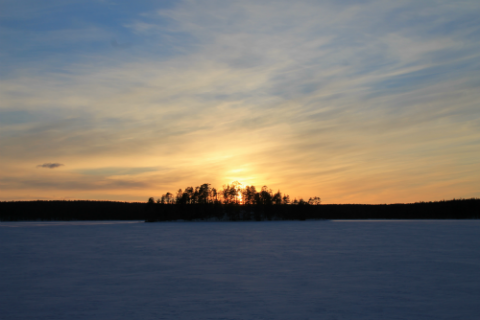 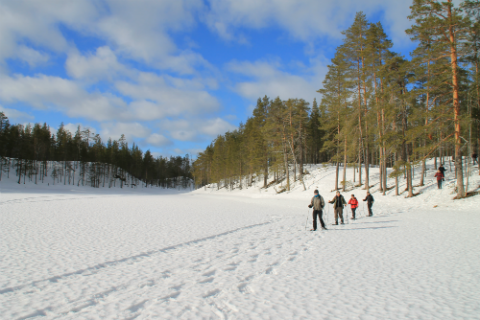 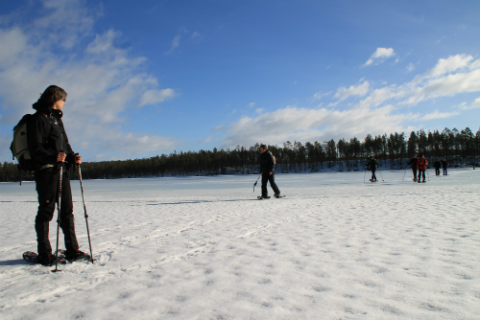 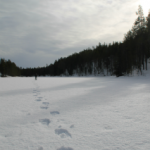 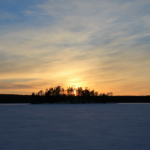 Walking on lakes was stunning, there wasn´t much snow on the ice and those distances went more easily. 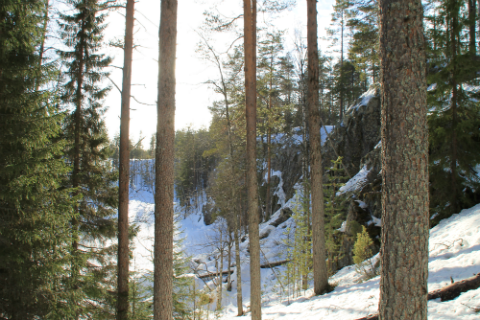 We went to see the stone-aged rock paintings of Hossa as part of our trip also. 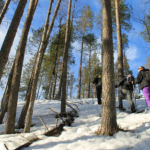 Every peoples´s unique spiritual heritage, specific lifestyle and worldview that is shaped by the language and the surrounding living environment is valuable in itself and confronting these cultural differences can serve as a tremendous life enrichment. 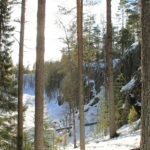 These rock paintings tell a story concerning the common history of people everywhere!